Exmouth has many fantastic attractions and activities which are a must while you’re in town. After you have joined us for a Whale shark or Humpback Whale Swim then take a look at what else there is to do. Here are a few suggestions or please visit the Ningaloo Visitor Centre for further information. 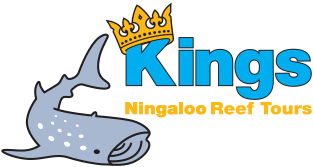 If you have been on a Whale shark tour with Kings Ningaloo Reef Tours, be sure to present your participation certificate to Ultimate Water sports at Town Beach for 10% off their tours and hire equipment.